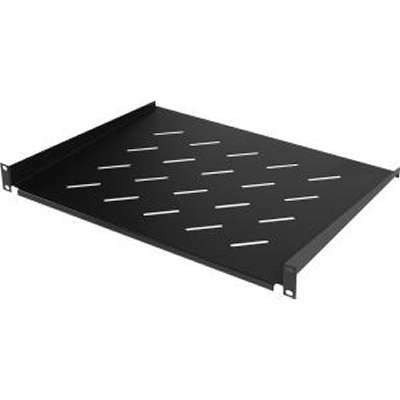 The CRA50002 is a 1U 13" deep cantilever fixed shelf able to support up to 40 lbs of monitors and other IT equipment without rack mounts. Two shelves can be used back-to-back to create a deep shelf in a 2-post open frame rack. Required mounting hardware is included. The CRA50002 is covered by a 5-year limited warranty.